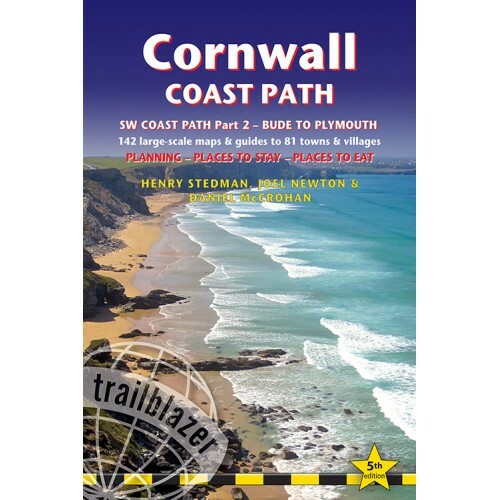 This guide to the coast path from Bude to Plymouth (288¼ miles, 464km) covers the second section, Cornwall, of the 630-mile (1,014km) South-West Coast Path. This is some of the best coastal walking in Europe. The footpath takes in tiny fishing villages, rocky headlands, bustling resorts, wooded estuaries and golden surf-washed beaches. It is an area rich in wildlife, with seabirds, wild flowers, dolphins and seals. The path has been completely rewalked and all the information checked for the new 5th edition. 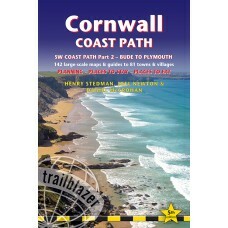 Includes accommodation, pubs and restaurants in detailed guides to 81 towns and villages. Includes 142 detailed walking maps: the largest-scale maps available. At just under 1:20,000, these are bigger than even the most detailed walking maps currently available in the shops. 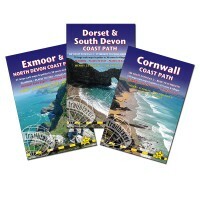 South West Coast Path Complete Set of 3 Trailblazer SWCP Guides Exmoor & North Devon Coast Path Cornwall Coast Path Dorset & South Devon Coast Path ..